a muslim homeschool: The Searching Angels! - free printable story! 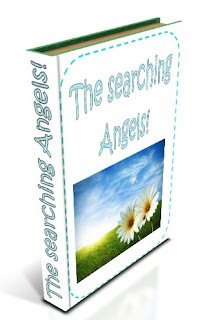 The Searching Angels! - free printable story! "The Searching Angels" is hadeeth narrated by Abu Hurairah reporting the Messenger of Allah telling how the Angels go out in search of groups of people engaged in the remembrance of Allah, and when they find them the discussion between the Angels and Allah about these people.......presented as a story book"
Taken directly from the English Translation to help young readers become accustomed to the language of ahadeeth. The narration is broken down into a few lines per page to help make it digestible to younger readers inshallah. It is available free, to read online or download and print inshallah. Read online FREE HERE using a virtual flipbook inshallah! The example below has been printed using the first download option, which has the pages aligned to the side to allow the A4 sheet to be folded over in half before binding. Once bound, pages are central. Its also been printed on 130gsm paper, which gives a sturdier page. So I wanted something like this for our muslim kids. You have been doing so much printable stuff for the kids, and you use colors in it to make it lively, that's wonderful. Mashaallah! So I thought you could help with all the resources that you have. It will benefit all the muslim kids. you know! I am waiting for your reply. May Allah help you in your work. Alhamdulillah all good is from Allah. JazakAllah khayr for your suggestions. I have a couple of big projects lined up that we are starting work on inshallah, so when they are completed will share inshallah. What a great set of resources you've got on your blog. May Allah reward you for your efforts. Little book of Fractions workbook!